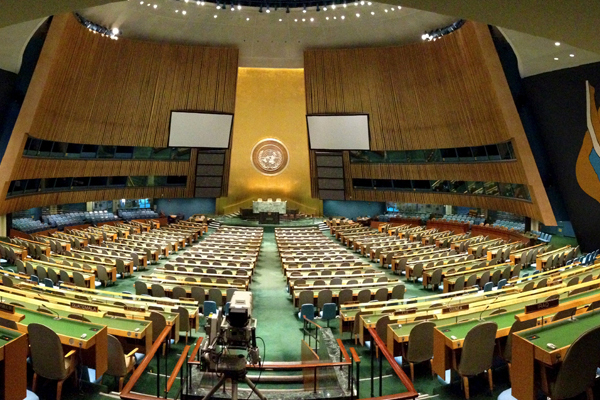 On Monday 19th September, world leaders convened in New York to attend a United Nations General Assembly, which specifically addressed large movements of refugees and migrants worldwide. The Summit for Refugees and Migrants was opened with the adoption of a declaration concerning migration and asylum that will be historically known as the New York Declaration. After that first day, many pundits expressed their dissatisfaction with the Declaration, claiming it was a great achievement but still not quite enough, as it does not contain concrete commitments. However, on a pure declaratory level, the Declaration lays down an encompassing list of well-meaning points; some addressing migrants and refugees altogether and others dealing with these two categories separately and in more detail. Great attention is paid throughout the text to the protection of vulnerable categories (minors in particular) and to the need to tackle the root causes of migration, starting from the assumption that migration should be driven by choice, not by necessity. In the section dedicated to migration, the attention paid to human rights (family reunification, integration into host societies, education) is well balanced with the commitment to strengthen return policies and practices for those who are not entitled to stay in their country of arrival. Several articles then focus on the need to fight against all kinds of human trafficking and transnational organized crime, which are phenomena that often lurk behind international migration. The New York Declaration also launches an important merge between the International Organization for Migration and the United Nations: the latter will in fact become a “related organization of the UN”, which will make room for further cooperation between the two organizations while at the same time, offering a new approach to the migration-related work conducted at the UN-level. The widespread criticism voiced after the adoption of the New York Declaration was however, partially taken back after the second day of the Summit, especially after Obama disclosed his plan to create a US-led coalition that aims to double resettlement places, significantly increase humanitarian aid for refugees, provide education to 1 million more refugee children and work to create access to legal work for 1 million more adults. The some 30 countries that pledged to join the coalition will then have to work actively if they wish to really put in place the concrete actions envisioned by the President of the United States during his speech. Will they stick to this agenda despite the (often) fierce opposition from domestic public opinion and political enemies? “On the migration issue, Member States are hiding behind each other’s back”. An interview with Malin Björk When the migrants land on the Sicilian shores: from the docking to the relocation How can we know about the real situation of refugees? Let’s listen to their voices!